This charmingly grimy Raval bar is said to be Barcelona’s oldest, and a favorite of Picasso and Hemingway. 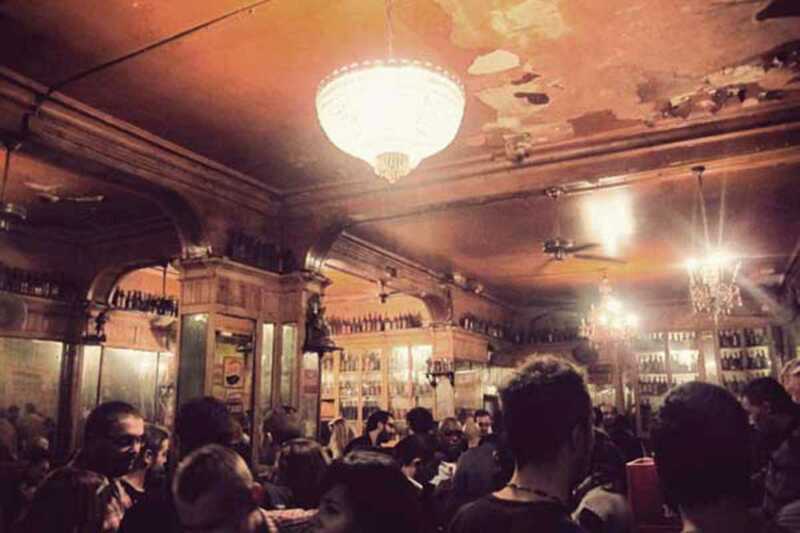 Under threat of closure and with thousands petitioning its preservation, the bar's building was acquired by the Ajuntament de Barcelona in 2013, saving the 200-year-old institution. Owned by the same family for more than a century, the bar’s history is written in its dusty chandeliers, cobwebbed corners and cabinets filled with bottles of 100-year-old hooch; it’s written – literally – on the lusterless mirrored walls, which are inscribed with Franco-era warnings against singing and congregating in groups, crimes that once earned revelers a free trip to the clink, cour­tesy of the Guardia Civil. When you visit this historical landmark, order what everybody always orders: absinthe. A gruff bartender brings a glass of the licorice-scented stuff to the table along with a small, flat silver fork and a plastic water bottle with a tiny hole poked in the lid. He scatters a handful of sugar cubes and walks away. You balance the fork across the top of the glass, position the sugar cube, patiently dissolve it with the water, drop by drop, and take a sip. Your mouth growing ever-so-slight­ly numb from the herby wormwood, your dance with the Green Fairy is about to begin.